Research suggests the average person reads about seven reviews before making a decision. Sort through the swamp of ratings and reviews with these seven easy tips. A top rating used to mean a product or service was exceptional — think “five-star hotel.” But now, from Amazon to Yelp to Uber, five-star reviews are practically the norm. How did we get here? This trend started with eBay in the late 1990s, says Paul A. Pavlou, Ph.D., professor of management information systems and marketing at Temple University’s Fox School of Business in Philadelphia. Review options then were “positive,” “neutral” or “negative,” and neutral ratings soon became perceived as negative. 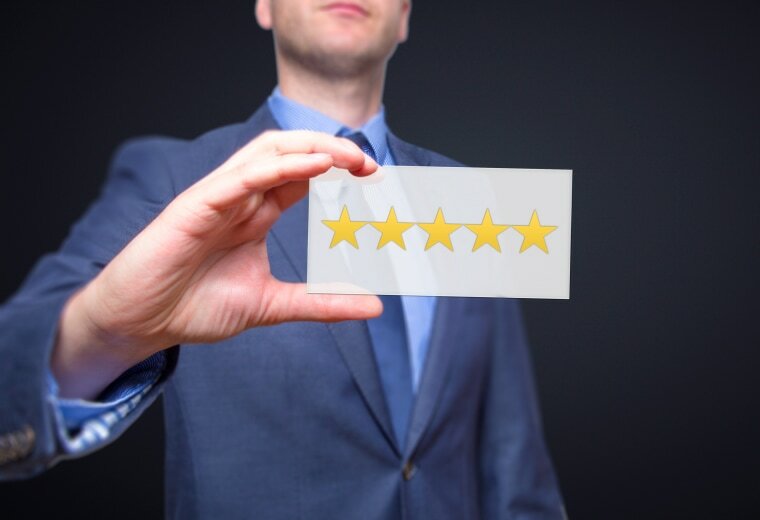 When reviews transitioned to the five-star system we now see across the Internet, consumers equated five stars with “positive,” using it for acceptable — not necessarily outstanding — services and products. It’s bad enough you have to sort through ratings where, like the children of Lake Wobegon, everything is above average. But whether you’re finally ready to buy an Instant Pot or looking for ways to spruce up your home, you also have to watch for fake or misleading reviews that can bump star ratings up or down. When reviews transitioned to the five-star system we now see across the Internet, consumers equated five stars with “positive,” using it for acceptable — not necessarily outstanding — services and products. People write positive reviews to boost rankings, or negative reviews to lower rankings. While that might not make a big difference for a Fire TV Stick that has more than 160,000 reviews, a small mom-and-pop restaurant might only have a dozen reviews, so every review — real or fake — matters. People find a negative review and repeatedly vote for it as “helpful” so it gets bumped up to top critical review status. Businesses can also nudge ratings by requesting positive reviews. Say your car dealership emails you a survey after a service appointment. If you say that you were happy with their service, they might follow up and ask you to review them publicly. If your answers are negative you might not get that request, effectively filtering out your negative review. But fraudulent reviews are still a problem. “And if trust goes away, everybody loses,” says Collin Holmes, founder and CEO of Chatmeter, a brand management platform. The single smartest step you can take to get the information that matters most to you? Look at the reviews — not just the ratings. If trust goes away, everybody loses. “The average person reads about seven reviews before making a decision,” Lappas says. The right reviews can help you avoid purchasing products you won’t like and dealing with the expense and hassle of returns. Use filters and search terms. Drill through for the reviews that matter most to you. Planning a large family dinner? Turn on the “good for groups” and “good for kids” filters. Buying a cordless vacuum? Search reviews for “battery life.” Thoughtful search terms will steer you toward the most relevant, useful reviews. Cherry-pick your reviews. Instead of reading the first five or 10 reviews the site pops in front of you, read one or two from each star level. Keep in mind that the negative reviews might not matter to you. For example, someone might balk at the high price of a pair of sandals, but you found them on sale. Or, they may complain about the wait time in a restaurant, but that won’t factor in to your 4 p.m. dining plans. Vet the reviewers. Give less weight if a reviewer has only written one review, or only posts reviews in one category. A single review might not be fake, but it’s not trustworthy enough, Lappas says. And legit reviewers tend to review a range of products. People don’t just buy vacuum cleaners. They buy TVs, sweatshirts, and steak knives, too. Sort what you see. The most recent reviews are the most helpful, especially for restaurants and hotels, where quality can change quickly. And sort for verified buyers if that’s possible. Read the business’ response to negative comments. No responses or generic responses are a bad sign. “A personalized response is a sign of commitment and vigilance. A responsible business that cares about its reputation is more likely to satisfy you,” Lappas says. Shop on a big screen. On mobile devices, it’s harder to scroll down and read long, informative reviews. “When consumers make purchases on mobile devices they rely almost exclusively on the ratings,” Pavlou says. Plus, when you’re using a mobile device you’re likely multitasking — sitting on the sidelines of a youth soccer game or on the subway commuting home. Focusing in front of a PC means you’re more likely to think through your decision. That may explain why products purchased from mobile devices get returned more often than those purchased from PCs, according to Pavlou. Consider the platform. Different sites skew toward different audiences. Take restaurants. Tourists use TripAdvisor, so restaurants close to major attractions or offering scenic views might be more highly rated. Locals are more likely to use Yelp. People often use OpenTable to make a reservation at a place they already know and like, so reviews slant toward the positive. Not sure where to start? Try a search engine query for a product or place name followed by “reviews” to find relevant reviews from all the major platforms.